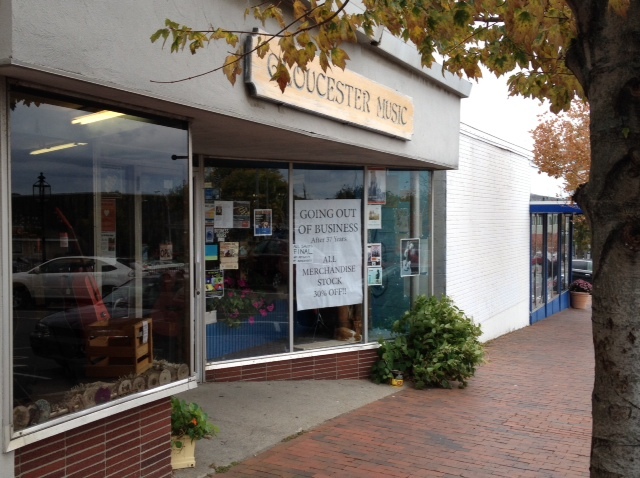 After 37 years, Susan Emerson, the owner of Gloucester Music, is closing her doors. This shop has been great for all of us musicians. Sorry to see it go. The last “mom-and-pop” music store on the North Shore. I was in there yesterday talking to Judy, and she says the sale by the end of the week might even go to 40% off or more. Right now everything is 30% off. Help Susan out and go buy up her inventory! In addition to guitar strings and tons of CDs, there’s a lot of piano music for sale—sheets, books, methods, and Christmas music (not too soon to start practicing songs for Christmas, believe it or not).